We wanted to send you a note to let you know how happy we were with our daughter’s wedding at Caberfae Peaks for Emilee Voet and Nathan Comar! The entire weekend certainly exceeded our expectations, from the Rehearsal Dinner to the Sunday morning brunch. We thought so, and many of our guests commented, what a great wedding weekend it was. We think the venue and incredible staff that Caberfae Peaks has certainly were a large part of the reason for this! We didn’t realize this until the weekend began, but being able to stay on property and have the rehearsal dinner, as well as the reception on site, certainly added to the great experience. Our guests were able to mingle together before and after all of the official activities ended. The Caberfae poolside area was a perfect area to accommodate the informal activities and provided a relaxing atmosphere for this. We can’t say enough about the food too! It was very good and also exceeded our expectations. The rehearsal dinner, the reception, the Sunday brunch all were delicious. The items that stood out were the Walleye, beef brisket, green beans and the Sunday morning waffles with the fresh fruit and variety of toppings. Specifically, we wanted to mention some of your staff that stood out during the weekend. The night manager (we are sorry, that we can’t recall his name exactly, Marvin? ), was so patient and kind to us as we enjoyed socializing in the pool area on both Friday and Saturday nights. And when the frantic bride could not locate her wedding day jewelry Friday night, he kindly unlocked the reception hall and helped us locate the bag, while searching by flashlight! Also, the supervisor, Jessica, helping to clean up after the reception, was very accommodating as we were gathering our personal decorations. Then, at Sunday morning’s brunch, she was there again and was so nice and helpful as we were moving the wedding gifts out of the brunch area. Everything was amazing! Our Wedding Coordinator, Jessica, was very sweet and super quick with communication – always emailing/texting back almost immediately with answers to our questions. The whole wedding day was flawless. If anything went wrong, I didn’t know. One of the servers even made sure to note the exact time we got married and let us know while we were eating so we could remember forever. I give it a 10 out of 10 and would recommend this venue for EVERYTHING – value, beauty, convenience, and I am definitely thankful that we chose Caberfae. Thank you so much for everything you’ve done to make this day so beautiful & perfect! You have been so great & fun to work with and we could not have done this without you. It was such a special event and one that we will never forget. I just wanted to reach out and say thank you for the amazing day. Everyone raved about EVERYTHING, especially the food. You were amazing, and I really appreciate all you did to help make everything so perfect. From the bottom of our hearts, thank you so much for everything you did for our wedding! It really was everything we could have hoped for and we still say to this day how lucky we were to have found Caberfae. Everyone went above and beyond and consistently exceeded our expectations. We hope we are lucky enough to be able to attend another Caberfae wedding one day in the future. We are very impressed and thankful for everyone at Caberfae. Our wedding day was flawless and each of you supported that. Thank you for all your hardwork, support, and fine detail! We could not have been more satisfied! Everything was lovely but there are three people who went above and beyond to make our stay and wedding run smoothly. The first is Linda, who works the front desk reception area. She was kind and helpful, and modest. Missy, our wedding planner is an amazing person, very thoughtful. She helped us “survive”!!! and made sure everything was to our satisfaction and beyond that to perfect. The third was our bartender, Dillon. For such a young man he certainly is courteous and respectful. I enjoyed him so much, and so did my family. I cannot find words to express to you how much all of your hard work, attention to detail, responding to all 50,000 emails I’ve sent over the last year, kindness and genuine care about our day being perfect means to me. I can say with great certainty that I simply could not have done this without you. You kept me on track and calm throughout the entire process. I am forever grateful that we chose Caberfae, mostly because of you! You take on so much to decrease the stress of the bride and that was few and far between. It never went unnoticed. Nick and I appreciate every last effort you put into our day, since the very beginning to the very end. We will come visit you sometime! We cannot thank you enough for working with us on our special day. Everything was so beautiful and ran so smoothly. Your are like family now! I just wanted to say thank you again for everything! You and your staff were amazing and our day was perfect. You can bet I’ll send anyone I know to you for their events. Also, thank you so much for the ski passes. Completely unexpected and much appreciated. I just wanted to say thank you again so so so much for helping make our day so amazing. Everyone has told us over and over how amazing Caberfae is and how awesome the food was. So, a thousand thanks to you and your team for making it a dream. Thank you for sharing your vast knowledge and wedding planning expertise for our recent wedding. You made our entire wedding planning process run smooth and made sure that nothing was out of place — everything was absolutely perfect! We owe it to you and your wonderful team. We look forward to recommending your services to all of our friends and telling them what a great job Caberfae Peaks did! Also, we appreciate the gift that you and the staff at Caberfae Peaks got us! Cody and I, along with our families wanted to reach out and thank you and the entire Caberfae staff from the bottom of our hearts for making our wedding day everything we dreamed and more! Everyone was beyond accommodating during the entire process, especially on the weekend of. We don’t have a single bad thing to say, our guests enjoyed the venue, food, and accommodations to the fullest. Please tell your staff that we are so grateful for all of them!! Please also let the bosses know that we were so impressed that it seems like everyone there really likes their job and takes pride in their work! You don’t find that often with companies and it showed!!! Thank you so much for making Katie and Chris’ big day so perfect. From the facilities, to the food, to the staff, everything was A+. We could not have asked for anything better. Thanks again. Caberfae is a special place that we will always remember. We are SO GLAD that we decided to have our wedding at Caberfae. Your staff and Missy made the whole day flow so flawlessly & took the stress off us so we could just enjoy. We will definitely remember you guys for years to come and be recommending you all! Just visited for a wedding. Beautiful setting, nice facilities and fantastic staff. The wedding spot is at the North end of the parking lot and Lodge. The backdrop is the green grass of the hill and a beautiful natural surroundings. The Lodge for the reception has a rustic eligible to it and the hotel was perfect for the wedding party and the rehearsal dinner. The setting felt secluded private. Even though there is golf and other guests it just felt like it was all for our party. The food was excellent and the staff was super friendly and very helpful and professional. I would definitely recommend Caberfae for a wedding. Thank you so much for making our wedding day so perfect! What an awesome, memorable day. Everything was just the best! THANK YOU, THANK YOU, THANK YOU, to the outstanding staff at Caberfae Peaks. My wedding day was the fairy tale I had wished for. This bride was relaxed the whole day. Thank you again. We would like to take this opportunity to thank the owners and all of the exceptional staff at Caberfae for making our daughters wedding day a dream come true. They exceeded all of our expectations. From the beginning working with MIssy, we knew the service would be good. But never expected the level of service we received. We were treated royalty. From the minute we registered as guest at the lodge, until it was time to depart, our every request was granted. We had dozens of rooms rented from Thursday til Sunday with out of town guests. They all enjoyed golfing, relaxing in the lounge and the great food. As for the wedding day, Jessica, our wedding coordinator, made our day stress free. She and her entire staff were phenomenal. If we had forgot something, she made it appear. If we had questions, they were answered immediately. If there was issues, she handled it without letting us know so we just enjoyed every minute of our day. Dinner was perfect. I had dozens of guests say it was not only the nicest wedding they had attended, but definitely the best food they had ever had. It was delicious. The filet was amazing! From the ceasar salad to vegetable, absolute perfection. Every parent wants their daughters wedding day to be perfect and a memory that will last a lifetime. The staff at Caberfae made that possible and we are so grateful. I would highly recommend Caberfae for any event. Impeccable service without a high price tag. I wanted to thank you and your staff for making our reception a great time for all! We received so many compliments on the food (especially the steak!) and appetizers. Your staff was great in helping our guests who could not climb stairs get around. The bar tenders were great with the guests and Father Ron enjoyed the plate you saved for him! Thank you again for all you efforts. I just wanted to thank you and your team for such a wonderful wedding experience! Ben and I could not be happier about how the day unfolded and how great you and the Caberfae staff were. It was perfect! Missy: We can’t thank you, Jessica, Tony, Arlo, Curtis & the rest of the Caberfae Staff enough for all you did for us. Our day was absolutely perfect thanks to you all! Beyond a doubt, you have all exceeded our expectations. It was the best day ever and we couldn’t have done it without Caberfae! Wow!!! Where do I even start! Yesterday was amazing! I cannot thank you enough for making our day absolutely PERFECT! You and your staff were incredible from start to finish! That was by far the best day of my life! I would highly recommend Caberfae to anyone! From hotel staff to your chefs, bartenders, and servers to of course you, everything went so smoothly! You know it went well when so many guests came up to me and talked so highly of the food, the service, and just the whole wedding itself! I wanted to let you know that everything at our wedding reception was beyond perfect, and I cannot thank you enough!! It was so fun and the evening was incredible. Thank you so much. Huge thank you to everyone that helped make our celebration a huge success. The day was perfect. We truly appreciate all of you and how easy you made everything for us. Our big day was absolutely perfect thanks to all the staff! From the amazing food, to the warm smiles of each staff member. We appreciate all you did for us and the patience throughout the journey. 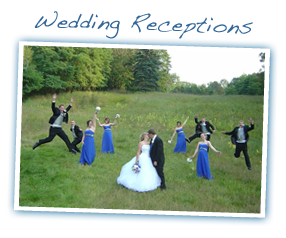 Facebook Review: My husband and I got married and had our reception at Caberfae Peaks. If anything didn’t go swimmingly, I never heard about it during or after the fact. Missy and her staff kept everything running smoothly so all I had to worry about was getting down the aisle! I should say, too, that the planning process with them was really easy. They’re pretty full service and have great vendors to recommend for decorations, cake, etc. As the mother of the groom I would like to personally thank you for all the work that you and your staff put into making Bobby and LaShans wedding so special. You were great and your staff was so helpful and seemed to be enjoying the festivities as much as the guests. If there were any glitches, we didn’t see them and they were handled with no fanfare. I believe the ladies name was Donna that took my Mom and Dad in the golf cart up to the dining room. She was just great, she chatted with my parents and made them feel like royalty. My Mom has mentioned several times how nice and kind she was. When she picked Dad up to bring him down for the reception she took him on a short color tour and made his whole day. Dad has mentioned that all the servers had big smiles and that impressed him. I want to thank you again for such a great experience and I will definitely be passing your name along to anyone that I know who has a big event coming up. The cake person that was recommended did a fantastic job, as well as the decorator/flower person and the DJ was just great. The food was phenomenal and I heard nothing but compliments on everything that was done. Of course the thing most commented on was the size and décor of the bathrooms. People couldn’t get over them. Thank you again for a great time. Hope you have a wonderful fall and fantastic winter. We cannot thank you enough for everything that you and your staff at Caberfae did to make our wedding day great! We are so impressed with the level of service and attention to detail that you provided. We appreciate you accommodating all of our extra requests. You have a great operation at Caberfae and it runs like a well-oiled machined. Thank you again for everything! Facebook Review: We had our wedding here on 09/26/15 and the lodge was an amazing place! I can’t even begin to describe the excellent staff. Missy is amazing and had everything organized and ready. I would recommend anyone considering this as a venue to speak to Missy ASAP! You won’t be disappointed! Thank you Caberfae staff for making our day unforgettable. From the bottom of our hearts, thank you for everything. We had our dream wedding at Caberfae and we feel so lucky to have worked with you. Everything turned out even better than we imagined. The food, the staff, the organization, the lodge – everything was perfect. Our guests had a blast and we had the best day of our lives! Thank-you to you and to all of your staff at Caberfae for everything that was done for our wedding reception on 9/5. Everything at the reception was spectacular. Caberfae knows how to do weddings and I would recommend highly to anyone. Our guests enjoyed their time, everything flowed wonderfully, and the food was delicious (I can’t tell you how many guests told me that the walleye, especially, was amazing). Thanks again to you and your staff. We couldn’t be more pleased in our selection of Caberfae! Had my wedding reception at Caberfae. I couldn’t ask for better staff and service! Everyone was amazing and very helpful! Highly recommend for wedding receptions!!! Thank you so much for the wonderful job done at our wedding. We were absolutely thrilled with everything. We will see you on the slopes this winter! Thank you so much for all of your hard work. Our wedding was absolutely perfect. You made the wedding process so easy, and we truly appreciate everything you did for us. 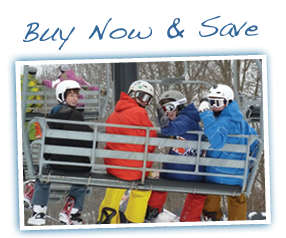 We look forward to coming back this winter and skiing at Caberfae! Kudos to the staff at Caberfae. We spent the weekend with you for our granddaughter Kodi’s wedding reception and breakfast the morning after. In EVERY RESPECT, the staff was organized, attentive, flexible, helpful, and working with eagerness and cheer. The food was excellent and accommodations were comfortable and clean. It was evident, to this now retired manager, that Caberfae exemplifies the true meaning of leadership: bringing out the best that others have to offer. Kudos again! – Robert V.
Thanks for everything! You and the rest of the staff are absolutely amazing and did such a good job for us. Tell the chef the food was wonderful and everything went perfectly! We just wanted to extend our sincere gratitude to you and your staff for making our wedding absolutely perfect! We had the best time with our friends and family and heard nothing but compliments all around. The food was excellent and everyone was so pleased with it. So, thank you to everyone involved from the bottom of our hearts! If you are thinking about having your wedding at Caberfae Peaks, all I can say is DO IT! I have never met a more friendly and accommodating staff. From the first time I walked into Caberfae I knew it had the vibe I wanted and after meeting Missy I knew I had nothing to worry about. They took care of so many things I would have never thought of and made sure our day ran smoothly. Some of the highlights: 1. They get people their food FAST. I can’t believe how fast the buffet line went. 2. They are so smart about when to feed people and how much. We did appetizers and late night pizza and it always felt like the perfect timing. 3. They will do everything they can to make it the way you want. I emailed Missy two days before the wedding asking if we could have dressing on the side for all the salads (the seasonal salad is amazing), even though it was super, super short notice, they made it happen. 4. They have awesome recommended vendors. If you have your wedding at Caberfae USE TIE THE KNOT BOUQUETS – Melissa is seriously amazing and she will not only do your flowers, but she will also decorate the entire place for you. She made my wedding vision come to life and made it 100 times better. We also used Eagle Entertainment for the DJ, and Josh does an incredible job. He kept everyone on the dance floor all night. 5. Overall, they are just the sweetest people I have ever met. The wedding industry is tough to be in – and they without fail were so nice and friendly. From Missy all the way down to the servers. Everyone always had a smile and was willing to help with anything. You can tell those people really enjoy what they do – and it’s so nice to be surrounded by happy people on the happiest day of your life! SO, your take away? Get married at Caberfae Peaks. You absolutely will not regret it. My husband and I were extremely happy with everything about Caberfae Peaks for our wedding. Missy is wonderful to work with and the staff goes above and beyond to make sure that your day is special. I was a stress free bride going into the wedding and the day of the wedding because of how awesome they are to work with. I highly recommend for anyone who is looking for a rustic feel for a wedding to check them out!!! Thank you so much Caberfae Peaks for making my dream wedding happen! You and your staff are amazing! You pulled off another flawless Shea wedding and with professionalism, which produced pure perfection! I mean that! Every detail was attended to with staff, food & planning. It was perfect. Thank you! Thank you from the bottom of our hearts! It was the definition of a perfect wedding. Everything was just absolutely perfect, from the food, to the service, to the staff, to the facility and the entire weekend’s activities. We will always cherish it. Thank you again! Wow! That was fun! It was all over much too soon, but your accommodations served to be just right for us and all who joined us. It was the perfect venue and the perfect day. Thank you very much Caberfae! Thank you so much for coordinating our wedding! All the help and advice through rehearsal & setup is much appreciated. The lodge looked great & dinner was delicious! Our elderly guests felt very well taken care of and we received numerous compliments throughout it all. We could not have done it without you and thank you for making our special day perfect! Thank you so much for everything! You helped make planning our wedding a breeze. Our friends and family keep telling us how amazing the food was and the service was great! Caberfae is such a gorgeous venue, and we are so happy we had our wedding there. Thank you again everything. What a wonderful experience it was to share our wedding with everyone at Caberfae. Your staff was amazing and we couldn’t have made a better choice! It was an absolutely perfect day. Thank you so much! Our day was absolutely perfect and a lot of that is owed to you and your staff. Everything went without a hitch, and we are grateful. We are so happy we went with Caberfae. We are still receiving compliments on your staff’s friendliness, the service, and especially the food!!! You guys are amazing! Thank you so very much. Thank you for making our special day run so smoothly. From the rehearsal dinner to cleanup after the reception, everything was perfect! It was the perfect venue for our reception. Bob & I would like to thank everyone involved in creating the perfect wedding reception that we had envisioned. The food & service were amazing. The planning was fun & smooth and the lodge is beautiful! I have to first tell you THANK YOU for providing us with such a wonderful wedding day. I’m sure you hear this all of the time, but it was SO perfect. I have received nothing but compliments on the food, staff, the setting, everything about the wedding….it was absolutely PERFECT!!! Again, I cannot thank you and your staff enough, it was such a beautiful day for us. We would like to thank you once more for all your work in making our wedding day great. It was an amazing and perfect day. We couldn’t have asked for anything more. We are already highly recommending Caberfae to all our friends. We wanted to give you and the rest of the Caberfae staff a huge thank you! We are so incredibly happy with the way everything turned out, it was perfect. We couldn’t have done it without you. Your expertise and assistance was priceless, and your staff was incredible. Seriously, we couldn’t be happier. And the card in our gift box was a huge surprise. How incredibly generous! We were not expecting anything from you. Thank you again, for EVERYTHING! Thank you to everyone who helped make our day very special and a lasting memory. Everything was beautiful! You did a great job in putting everything together! are very good at what you do. We plan on letting everyone know how truly amazing our day was from the planning (YOU), the food, service, facility… We can’t say enough good things about it! Everyone we have talked to since the wedding has said that ours was the best they’ve ever been to and we owe that to you! Thank you again so much for everything you’ve done for us! Thank you so much for making my wedding day absolutely perfect! Everything went so smoothly and was even more amazing than we ever imagined. We had an amazing wedding night and have been told many times that, “your wedding was the best wedding we have been to”. Thank you! Just a quick note to say thank you to your staff and everyone who helped with the wedding. Everything went perfect and it was awesome! Thank you all so much for helping us execute our wedding weekend! Everything was perfect! Patrick and I wanted your team to know how impressed our families and friends were with the entire weekend. We received so many compliments on the venue, accommodations, attentiveness and friendliness of the staff, and the food! A great time was had by all! We’re so glad we chose Caberfae for our special day, as it now holds a special place in our hearts and will always bring back fond memories!! Thank you for all your hard work in making our wedding perfect! We can’t believe how smoothly everything went. We cannot thank you enough for making our wedding an unforgettable event. It was pure joy. The whole weekend was amazing! The rehearsal dinner was absolutely delicious. Breakfast both mornings was fantastic with many guest compliments! Our wedding day went so smooth, we were both completely stress free!! Ryan and I cannot thank you enough for everything. I could not have dreamed of a more perfect wedding! Thanks for making our wedding day so perfect. Where do I even begin?!?! Now that things have calmed down a bit, I wanted to make sure we took the time to properly thank you and the staff at Caberfae! I have to tell you – Rich and I couldn’t be happier with how our day turned out. From the hospitality, to the gorgeous venue, to the mesmerizingly delicious food and the color-coordinated ties of the wait staff, the details were undoubtedly recognizable by not only Rich and I, but all of our guests. Our expectations were exceeded in every way possible and I think the same can be said for the guests, who approached us with compliments throughout the entire evening, commenting on the service, the food, and the atmosphere itself. Countless people even informed us that it was the most beautiful ceremony and reception they had ever attended. I would like to let the manager of your resort know what an outstanding team you have working for you. They were totally awesome. I really want to thank them. All of your staff were more than helpful and courteous. Please recognize your staff for a job well done. Everyone that attended the reception was impressed with the food and the service and will definitely recommend you for future events. I just wanted to say thank you for everything! The wedding was incredible. I still keep hearing from people how beautiful it was and how much fun they had and how nice the staff was. I couldn’t have asked for more! P lease let everyone involved know how much Ashton and I appreciate the hard work and dedication it takes to make something run so smoothly. Thank you again and I’ll be spreading the word about how great everything was at Caberfae! I just wanted to say how perfect everything was at our wedding on October 15th and the rehearsal dinner the previous night. I couldn’t have asked for a more perfect venue for us and our guests. The food was outstanding, the staff attentive, and the venue was perfect. My grandmother is still raving about her outstanding golf cart ride .. hahaha. Thank you again and there were a couple guests who are looking at venues and now are contemplating using Caberfae Peaks for their wedding since they were so impressed. Thank you again! Dear Caberfae Peaks, Thank you for putting on such a wonderful event! The entire weekend was perfect! 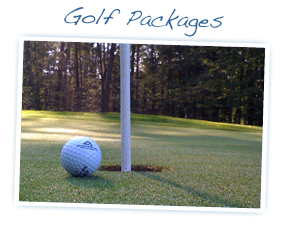 We are really looking forward to having a golf membership for the 2012 season! Thank you for playing such a key role in our special day. 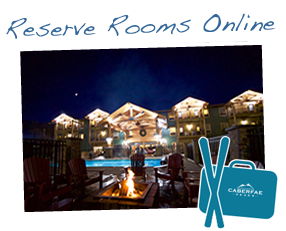 We had such an amazing time at Caberfae – from taking photos on the golf course to dancing it up in the lodge. Things could not have gone better! We so much appreciate the attention to detail you put into planning our reception, as well as the professionalism and kindness of your staff. We will definitely recommend Caberfae, and your services in particular, to our friends. Thank you so much for making our reception unforgettable. It was absolutely perfect. Everyone ranted and raved about the food. It was so awesome! We will definitely recommend you to anyone we know getting married. Thank you so much for making our wedding day so memorable and perfect. All of your advice and service was greatly appreciated and all of our guests thought the event was wonderful! Thank you so much. Thank you for all that you did to make our wedding day so special! You and your staff were fantastic and very helpful. The food was amazing, and we are still getting complements on it! Thank you, thank you, thank you!! Our wedding was absolutely wonderful! You and your staff were so helpful & thoughtful and we will definitely recommend! Thank you for making our day so special. I wanted to send a brief e-mail to tell you THANK YOU! Thank you for making the best day of my life happen so smoothly. You and your staff are amazing and I hope we have many more encounterings to come! I will be sending all my engaged friends to you. I would not want them to get married anywhere else other than in your hands! You are amazing! Kudos to Caberfae Peaks in Cadillac. Our daughter’s wedding and reception took place there this past weekend and was amazing. The entire staff was both fun and very professional. The hall was beautiful and the food was the best! What a memorable time we had. Thanks for everything! The staff was wonderful, food great, and everyone had a great time. You made my wish for a great baby shower for my daughter come true! Just a little note to let you know how wonderful everything was. Our guests have said nothing but praise regarding the reception. Caberfae was the perfect location for my daughter’s wedding and I would recommend it to anyone. I just can’t thank you enough, Caberfae Peaks does a wonderful job! Thank you so, so much for giving us the best wedding day we could have ever asked for. You and your “crew” did the best job any bride and groom could ask for! We didn’t have to worry about a single detail. I would recommend Caberfae Peaks to anyone and would even have our second wedding there! Thank you so much for all of your hard work to make our wedding reception so special! We could not have asked for anything more. Our guests were blown away by your welcoming attitude and attention to detail. Thanks again! What a great event and perfect location for the Annual Awards Dinner! We have heard nothing but compliments! The food was great, the service was great and Caberfae Peaks was fantastic! We wanted to thank you for all the hard work you and your staff did to make our day absolutely perfect! Everything ran so smoothly and we had so many compliments. It was a gorgeous and amazing day! We would like to take this opportunity to express our gratitude to you and your staff. I was very impressed with the level of service we received. Coming from a service industry, I can appreciate excellent service, and that is exactly what your establishment exhibited. Without question, we would recommend and use Caberfae Peaks again in the future! Thank you for all your hard work making our wedding day special! From the first time we met with you, we knew that Caberfae would work hard to make our day exactly what we wanted, and you did just that. Caberfae Peaks was instrumental in making the first day of our lives together perfect!